Jerome Rivera looking to improve resume with LFA title win and become first Santa Fe native to make UFC. For several years in the 2000s, New Mexico was a hotbed for mixed martial arts prospects. However, over the last 3 years there has been a lull in local fighters cracking the MMA glass ceiling. 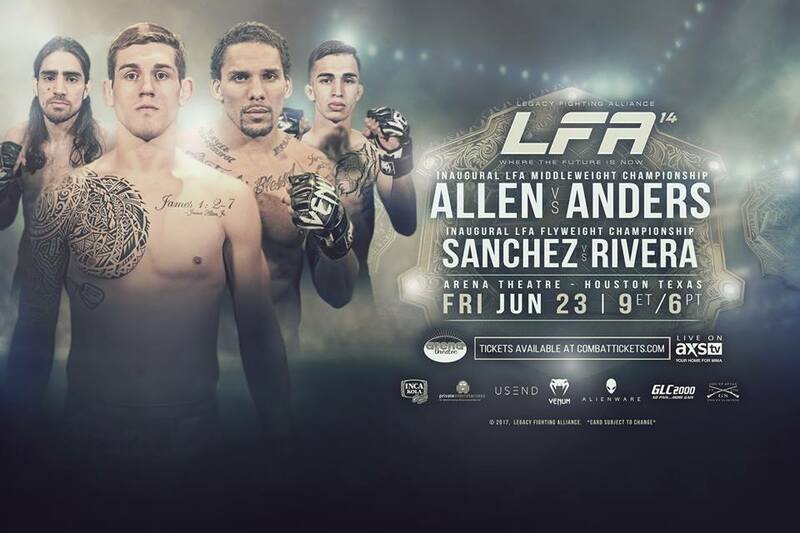 On Friday night, Santa Fe’s Jerome Rivera hopes to change that with a victory at LFA 14 when he takes on Roberto Sanchez for the inaugural Legacy Fighting Alliance Flyweight title at the Arena Theatre in Houston, Texas,. In winning the championship bout against a fellow undefeated fighter in Sanchez (6-0), Rivera, will not only claim a notable title with a promotion known for developing elite talent, but also increase his chances exponentially of becoming the first native New Mexican from our state’s capital to join the UFC. LFA 14 card features two title fights including Santa Fe’s Jerome Rivera vs. Roberto Sanchez. With the UFC’s 125-pound weight class lacking depth, an opportunity for either fighter on Friday night opens the door for a potential call from the sport’s top organization. In the 31-year-old Sanchez (6-0), Rivera faces a tough grappler, and a winner of his of five consecutive fights via submission. The statement is a brash one from what is typically known as a quiet and reserved Rivera. Optimism is oozing from the young fighter, and why shouldn’t it be? Besides sporting an undefeated record and being the top prospect in the state of New Mexico, he has a 4.5 inch height advantage on Sanchez. Rivera is also coming off the longest fight camp of his career, a seven-and-a-half-week training circuit under the tutelage of Chris Luttrell and Ray Yee of Luttrell-Yee MMA. The camp included training sessions with teammates Jordan Espinosa, Stephen Cervantes and Andres Quintana all of whom also have upcoming fights. Rivera’s training also included sessions twice a week at Jackson-Wink MMA Academy. There, Rivera trained alongside current #3 world ranked Ray Borg, and Joby Sanchez, both flyweights and the last two fighters from New Mexico to make it to the UFC. LFA 14 airs live on AXSTV on Friday night starting at 7pmMT.